As technology has improved, dental care and treatments have also been enhanced. Now you can get the advantages of advanced dentistry at North Shore Dental Group, including water-driven lasers, needle-free anesthesia, same-day dental crowns, and much more. Are you actively looking for a more efficient, safe, environmentally friendly and comfortable dental experience? At North Shore Dental Group, Dr. Luma Naim continually updates every aspect of what she and her team do. This means you get the benefits that come from the latest technologies so that every appointment is faster and more thorough, and leaves your teeth and gums healthy. Lasers have now made dentistry much simpler and have reduced the need for traditional drills. Dr. Naim is proud to offer patients both the WaterLase™ and WaterLase iPlus™ laser from BIOLASE. For most patients, the WaterLase iPlus™ lessens their need for any kind of anesthesia during routine cleanings and decay (caries) removal. In fact, the WaterLase iPlus™ works so quickly that you might be surprised at how soon your treatment is finished! If you do find that you still need anesthesia to comfortably undergo any dental treatment, Dr. Naim can administer needle-free anesthesia. This alternative is especially attractive to patients who are concerned about needles. Additionally, we use Oraqix, a topical anesthetic, for immediate temporary area desensitization. 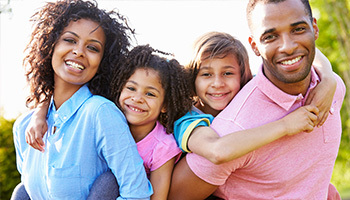 For information about how you can enjoy advanced dentistry in Park Ridge, IL. Improve the Quality of Your Teeth – At Home! Do you have sensitive teeth? MI Paste Plus™ is a technologically advanced product that you can use at home. By using it when you brush, you can build the enamel that protects your teeth. As the enamel layer improves, your tooth sensitivity lowers. It is a safe, proven way to make sure your teeth feel more comfortable when you eat, drink, or undergo dental treatments. Can a Tiny Camera Help Detect Cavities and Cracks? Yes! When you come for an appointment at North Shore Dental Group, we will use more than the naked eye to check for cavities and cracks. Our preferred method of getting a better understanding of what is happening in your mouth is to use an intraoral camera. The lens of the intraoral camera is so precise that it can detect problems long before we can see them ourselves. This allows us to give you better, faster care! If we do discover that your teeth are susceptible to decay, we may recommend Carifree Cavity products such as rinses and pastes. These will help you improve the quality of your oral health. Advanced Dentistry Keeps Your Mouth Functioning at Top-Notch Levels! Need a Tooth Crown? CEREC Gives Same-Day Results! When you need a dental crown or filling, there is no need to wait for several days. 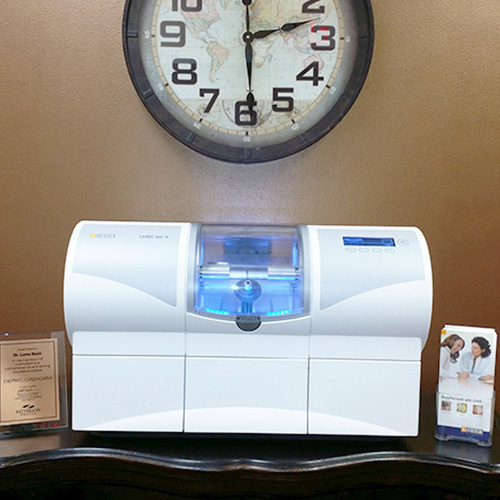 We are proud to offer the CEREC machine at North Shore Dental Group in Park Ridge, IL. CEREC technology uses computer-aided software to create dental crowns and other prosthetics onsite. The tooth-colored crowns are specifically made for your mouth, improving their look and feel. To learn more about CEREC or any other advanced dentistry options, call us at 847-292-8200. Find out how advanced dentistry has transformed the modern dental office! Call 847-292-8200 for an appointment with Dr. Naim today!